LP0177. 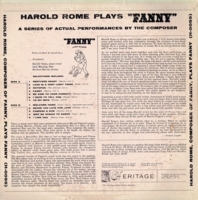 FANNY (Harold Rome), a series of Actual Performances by The COMPOSER singing & playing piano, plus Jack Messing (bass) & Herbert Harris (drums). 10" Heritage H-0055, recorded 1954. A remarkably fine, very slightly used copy! 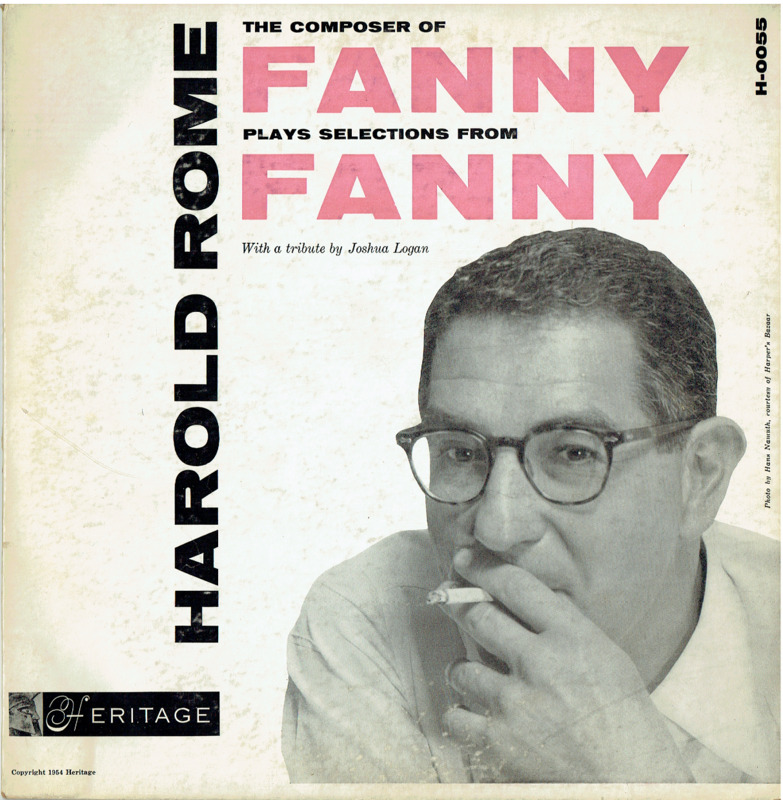 “Harold Rome was an American composer, lyricist, and writer for musical theater. 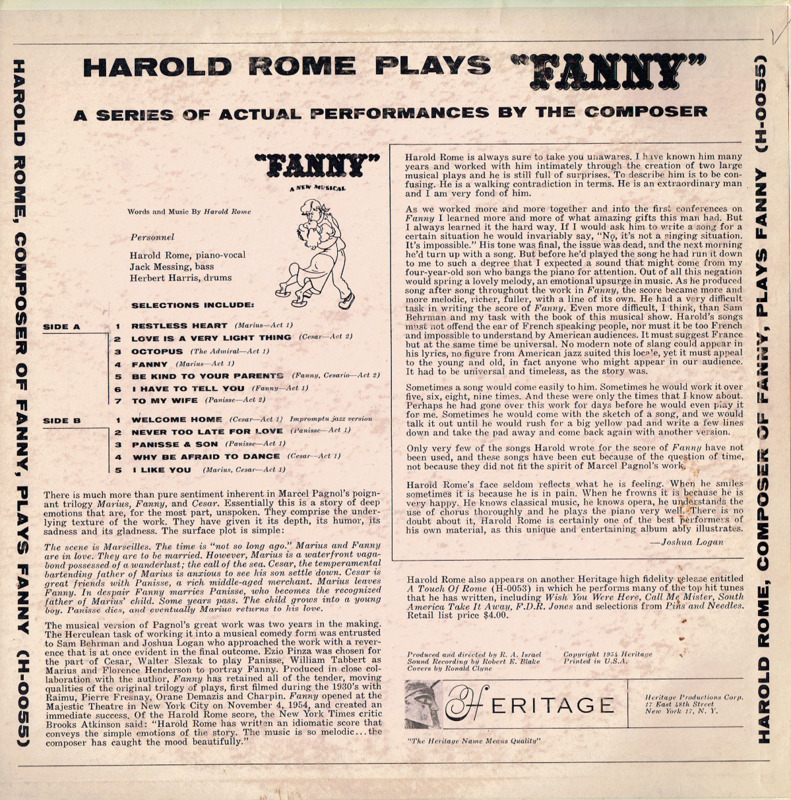 “FANNY is a musical with a book by S. N. Behrman and Joshua Logan and music and lyrics by Harold Rome. A tale of love, secrets, and passion set in and around the old French port of Marseille, it is based on Marcel Pagnol's trilogy of plays entitled MARIUS, FANNY AND CÉSAR.